During the 11 years it took to make Writ Writer, a concise and compelling documentary premiering June 3 on the PBS series Independent Lens, some issue addressed in the film — prison overcrowding, say, or allegations of abuse by guards — would appear in the headlines. "This should be coming out right now," producer/director Susanne Mason would think. But she never expected the film&apos;s central issue — habeas corpus, or the right of a prisoner to petition a court for release — to be reopened for debate. A series of court decisions over many decades had firmly established the tenet, with roots in English common law that predates the Magna Carta, as a fundamental safeguard of liberty. Then came 9/11, the war on terror and the Bush administration&apos;s creative interpretations of constitutional law. For several years now, the Supreme Court has been struggling to determine whether "enemy combatants" held by the U.S. military at the Guantánamo Bay facility in Cuba have the right to appeal their indefinite imprisonment to a federal judge. A ruling on that issue — not necessarily definitive — is expected before the end of the current term in June. So Writ Writer is arriving at an ideal time. When the U.S. attorney general is able to say with a straight face that the right to habeas corpus is not guaranteed by the Constitution (as Alberto Gonzales told stunned U.S. senators last year), it is important to be reminded what can happen when prisons are beyond the reach of the rule of law. Mason&apos;s documentary does so, without being preachy, didactic or self-congratulatory. The film focuses on convicted felon Fred Arispe Cruz and his decade-long fight for freedom, which proved to be a catalyst for the complete overhaul of the Texas prison system. Growing up in an impoverished section of San Antonio in the 1940s and &apos;50s, Cruz got into legal trouble early in life, committing juvenile offenses before moving on to more serious crimes. In 1961, at age 21, he was convicted of armed robbery, given a 35-year sentence and shipped into the state&apos;s infamous penal system. He witnessed and experienced countless instances of physical and mental abuse, much of it committed by "building tenders" — favored prisoners who imposed discipline on their fellow inmates as they saw fit. 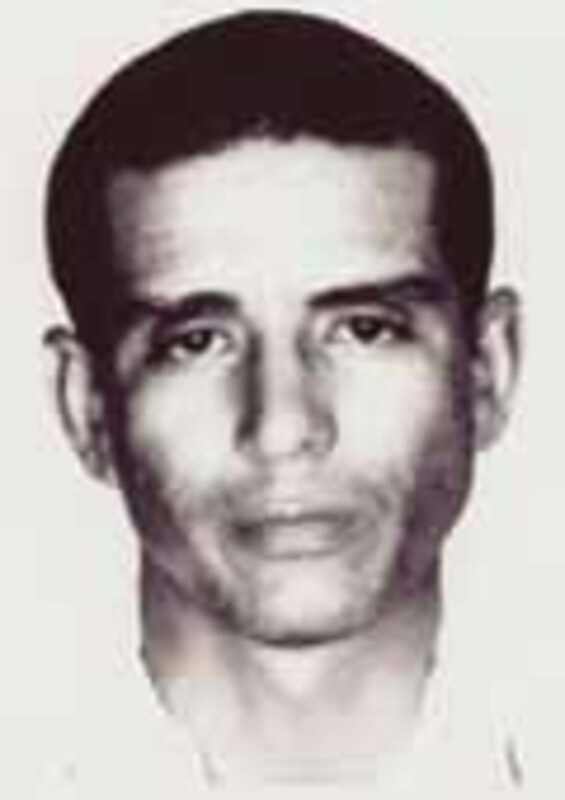 A 1968 mug shot of Fred Cruz. Uneducated but brilliant — prison officials took note of his high IQ upon his arrival — Cruz started scouring law books and petitioning judges in an attempt to convince them he had been unfairly convicted. Prison officials were not pleased, but Cruz didn&apos;t feel the full force of their wrath until he started taking on other clients. Defying regulations, he would write writs of habeas corpus for fellow inmates; in the writs, he detailed abusive practices at the prison. For his efforts, he would be beaten, sent into solitary confinement for long stretches, or both. "In a way, Fred Cruz was a quintessential American," Mason says. "He understood he was witnessing something that was wrong. He was smart enough to know that and tough enough to call them on it. "Most people who had an impulse to challenge the system had it beaten out of them. He refused to let that happen. I think he drew inspiration from Cesar Chavez and Martin Luther King. He read the paper religiously." One day in 1967, a news item caught Cruz&apos;s eye. An idealistic East Coast lawyer had moved to Austin to work for the Legal Aid and Defender Society. The story said Frances Jalet, a 57-year-old mother of five grown children, chose Texas because she heard it was the state where poor defendants were least likely to get justice. Cruz wrote her, she replied and soon the two were a team, petitioning courts to address a variety of grievances. Arguably their most important assertion: The regulation forbidding inmates from assisting one another on legal matters was unconstitutional. It took until 1971, but a federal judge finally agreed. "That was his major victory," Mason explains. "It was huge because, at the time, so many brutal and illegal things were going on within Texas prisons. Once he got that rule thrown out, it was possible for prisoners to begin challenging their conditions of confinement." That same year, another self-taught inmate, David Ruiz, filed a class-action civil rights complaint regarding conditions in the Texas prison system. That case finally went to trial in 1978; the inmates won the following year. For nearly three decades thereafter, the prison system remained under federal control. Cruz walked out of prison in 1972 after Jalet successfully argued he was eligible for early release. Soon thereafter, to most everyone&apos;s surprise, the 32-year-old married his 61-year-old attorney. Their union did not last. Cruz, who had shown amazing self-discipline in prison, resumed his former heroin habit, and Jalet divorced him after six years. He died of a drug overdose in 1987, at age 47. "There are so many contradictions in this kind of history," Mason says. "I didn&apos;t want to present a romanticized portrait of two people who would become heroes in the eyes of the prisoners. The reality was more complex." As was the challenge of turning Cruz&apos;s short life into a film. There are no audio or videotapes of him, or even many still photos. Realizing she needed him to be a palpable presence in the film, Mason culled Cruz&apos;s diaries and letters (some of which had been sitting untouched in an attic for more than 30 years) and fashioned his writing into a narration. Through his writings and a voice-over actor, Cruz tells his own story. "The voice became the best way I could give the viewer a sense of his presence," Mason explains. Jalet, who died in 1994 after a long illness, is represented in the film by two of her children, who speak admiringly of her passion for justice. But the film never takes on a triumphant tone. Writ Writer is a story about beating the odds and making a difference, but its subtext is decidedly sobering. After all, this is the tale of an amazing man who only found his purpose in life when he was behind bars — and then lost it again upon his release. Writ Writer also documents how easily a free society can discard its own fundamental principles. At one point, Cruz recalls being placed in solitary confinement — no bed, no mattress, meager meals and complete darkness — for a period of many weeks. Prison officials considered this just punishment. He had, he says, committed a horrible offense: "I was caught with a copy of the Constitution in my cell.